Travelling Albania is (relatively) safe. Albania is a country in Europe (Southern Europe) with around 4 million citizens and a land mass of 28,748 km². We detected travel advisories from 4 sources for this country. Albania shares land borders with 4 neighbouring states. For this country, the Danger Index is 1.1 (average value for all countries). All countries habe been reported as somehow dangerous: Greece (1.5), Montenegro (1.0), Macedonia with (1.0) and Serbia with (1.0 of 5). See danger map of the region. Exercise normal precautions in Albania. Some areas have increased risk. Read the entire Travel Advisory. Exercise increased caution in: The southern town of Lazarat due to crime. Read the Safety and Security section on the country information page. 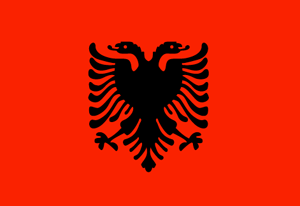 The Ministry for Foreign Affairs and Trade Promotion advises Maltese citizens travelling to Albania that Opposition parties held a major demonstration on 16 February 2019. Another protest is expected in central Tirana on Thursday 21 February. The Ministry advises travellers to check the local media for the latest information, remain vigilant and avoid any demonstrations.